I have been trying to think of a way to describe what I call 'stream of consciousness' knitting. 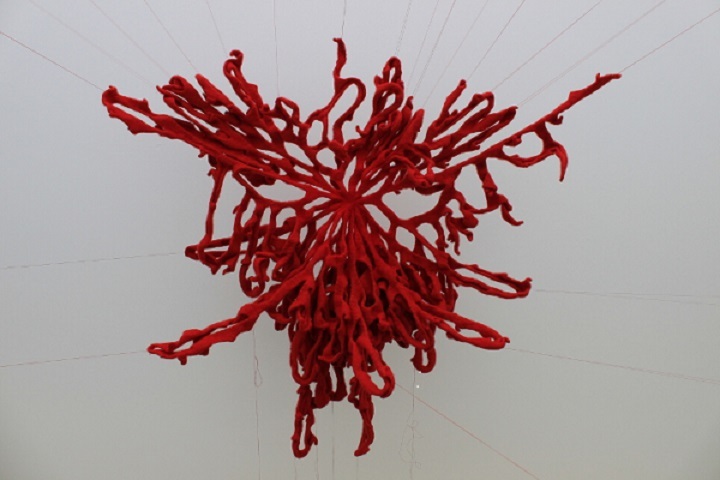 I first used the term to describe the way I was knitting the abstract uterus, 'All the babies I might have had'. I used double pointed needles and knitted a series of holes radiating out from the central point. Knitting with only one colour emphasised the process and made me very aware of what I was doing; I had no pattern, a few rules, made decisions as I knitted and the design developed as the piece grew. The structure mirrored the process and was organic, cellular, reminding me of binary fission.